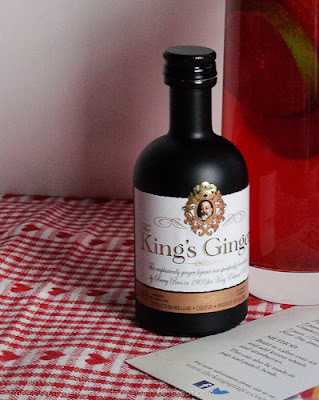 The Kings Ginger has been made since 1903, although I must confess I had never heard of it until I was offered the chance to review it along with Bulldog Gin and Appleton Estate Rum. I love anything flavoured with ginger so was intrigued to see what this liqueur was like. I was also provided with cocktail recipes and a little booklet of recipes using the Kings Ginger. Fortunately these are also available on the The Kings Ginger website. The King’s Ginger is the emphatically ginger liqueur that was specifically formulated by Berry Bros. in 1903 for King Edward VII. Rich and zesty, it was created to stimulate and revivify His Majesty and has been appreciated by bon viveurs, sporting gentlemen and high-spirited ladies ever since. The King’s Ginger is sporting a new look to assert the premium credentials of the world’s only high-strength ginger liqueur and to reinforce its peerless heritage. 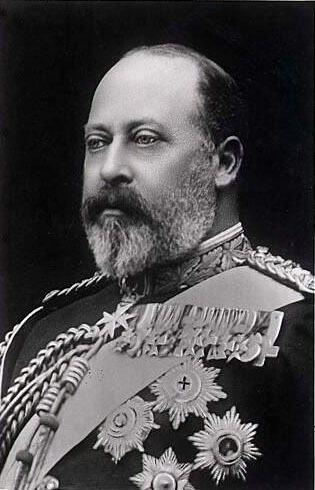 King Edward VII was a thoroughly sociable chap who enjoyed the high life; his preferred pursuits were many and varied, chief among them driving his horseless carriage, a Daimler. His physician, a customer of Berry Bros. (as was the King), was concerned about Edward’s health, exposed as he was to the elements in his new automobile. He commissioned, therefore, his wine and spirits merchants to formulate a liqueur which would warm His Majesty; the result, a rich, golden liqueur with a pronounced spicy ginger emphasis and delightfully crisp flavour. Build in a glass over ice and add lemon wheels and strawberries. This can also be made in jugs and punch bowls. 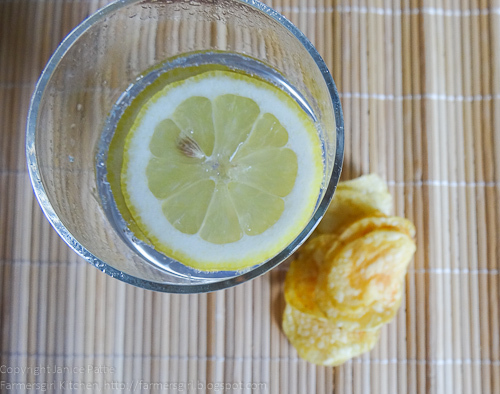 I also tested Bulldog Gin with Fever-tree Tonic water, very delicious and refreshing, it's been a while since I've had a gin and tonic and I'd forgotten how much I enjoy it. I do love the Fever-tree mixers they don't taste artificial as many other mixers do. I loved the Mediterranean Tonic which I tried at the Foodies Festival in Edinburgh last year but have found it difficult to source locally. Pour in Gin over cubed ice, top up with cloudy lemonade and garnish with a lemon wedge and sprig of mint. I still have a sample of Appleton Estate Rum to try, but think I'd like to add that to a dessert or cake so I'll report back on that another time. I was provided with miniatures of these spirits to sample with mixers, I was not paid for this post and all opinions are my own. Good Morning Janice, I do like the look of the bottles.... very stylish. 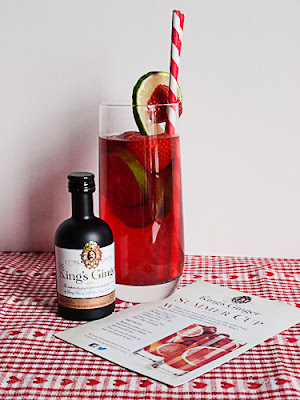 My husband would love King's Ginger liquer, myself, I would have to go with the gin and tonic.... nice on hot summer's afternoon. Or should I say, like the King, I need a liquer, because we are exposed to the elements. The weather has been dreadful and it is pouring down with rain at the moment. Thank you for reviewing these liquers as it is always lovely to hear about new products. I was sent some just before I left for Cyprus, but haven't tried it yet. I too love all things ginger, so I am looking forward to it. Haha, a spirited lady hey! This does sound rather good, I love ginger and this would be a great addition to summer drinks or even taken with hot water in the winter.